At A1 Medical Supplies, we know that indoor stair lift solutions don't always cover every situation. 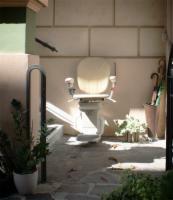 If your mobility needs require an outdoor stair lift, we offer weather-resistant chair lift systems from AmeriGlide. All stairlift systems require careful measurement of your stairs to ensure compatibility and safety, so we highly recommend contacting our stair lift experts at 1 (800) 501-6760 for assistance in properly preparing for your stair lift installation. You can also contact us via email for instant answers to your questions. 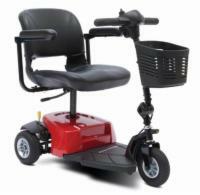 Additionally, we also carry used stair lifts at slightly lower prices than our new ones. Built to withstand the elements and comes with a cover to keep the lift nice and clean.